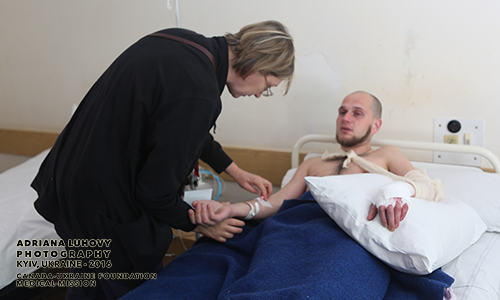 Dmytro Yaniv, was injured near the Donetsk airport. 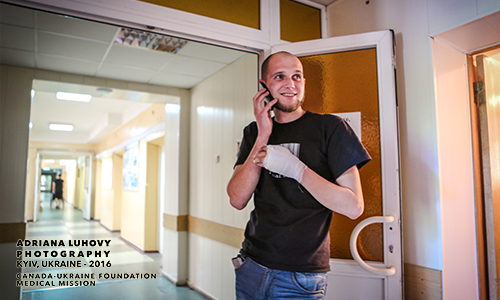 A mine blast sent hundreds of small pieces of shrapnel into his hands, breaking them. He had significant burns. 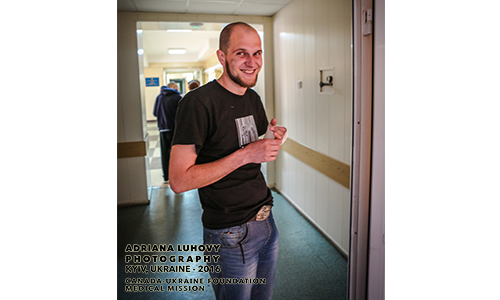 He hopes to regain some motion in his fingers.